Description: This work provides a definitive translation into English of the Targum of Lamentations, based on a critical reading of all the extant versions, with textual annotations and extensive notes. An appendix offers, in addition, a translation and annotation of the Yemenite version. Citation: Jan-Wim Wesselius, review of Philip S. Alexander, The Targum of Lamentations: Translated, with a Critical Introduction, Apparatus, and Notes, Review of Biblical Literature [http://www.bookreviews.org] (2009). 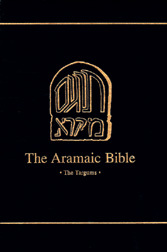 Citation: Archie Wright, review of Philip S. Alexander, The Targum of Lamentations: Translated, with a Critical Introduction, Apparatus, and Notes, Review of Biblical Literature [http://www.bookreviews.org] (2009).